A New Prescription for Health: Produce! The Prevention Research Centers Program celebrated its 30th Anniversary in 2016. To mark the occasion, the American Journal of Preventive Medicine published a special supplement that showcases the translation of public health research of the PRC Program. The PRC network is funded by the Centers for Disease Control (CDC) and consists of 26 academic centers in 24 states. The PRC network became a reality in 1986 after Congress authorized funding for academic health centers to conduct community-based public health research. The PRCHN at Case Western Reserve University fosters community partnerships to help prevent and reduce the burden of chronic disease. As part of the PRC network's 30th anniversary, we are sharing a few of the many success stories from our work here at the PRCHN and highlights from other members of the national PRC network across the country. Community Health Workers are helping to fill health service gaps through a partnership with the Health Food Retail Initiative. TIME is a novel, group-based self-management approach that improves depression in people with epilepsy and mental health conditions and can boost self-confidence and self-management skills. 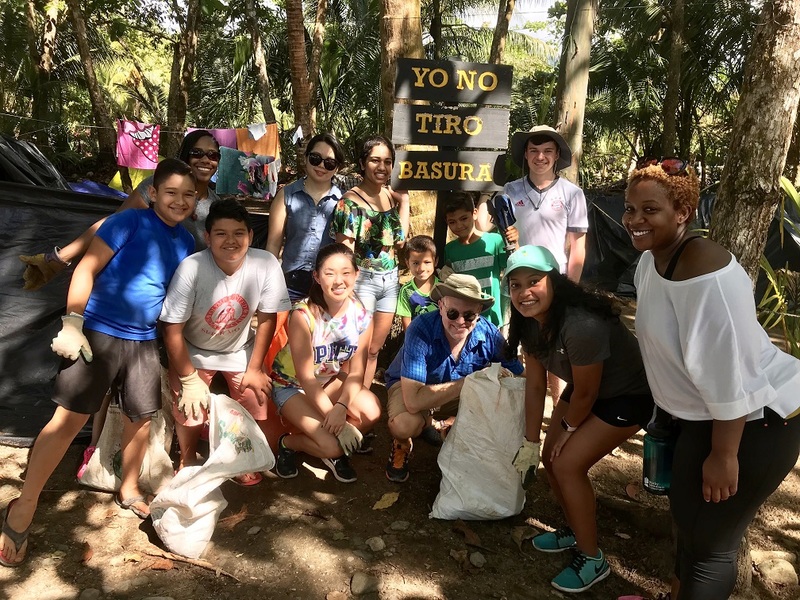 How did a poster at Research ShowCASE spark a conversation about health equity and an academic partnership that went from Cleveland to Costa Rica? Read on! 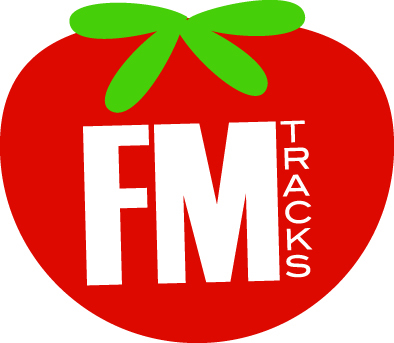 FM Tracks is an iOS-based app that helps track healthy food incentive program implementation at farmers' markets. 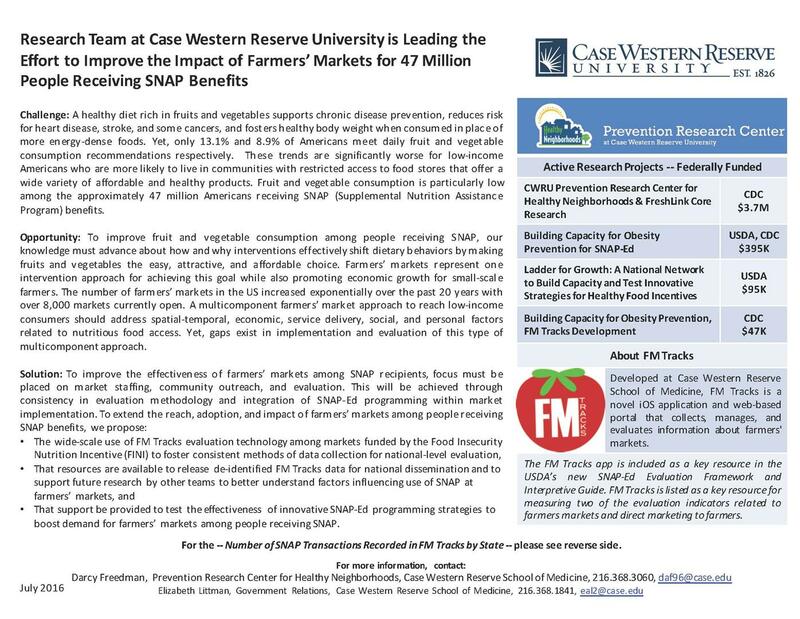 Read the FM Tracks success story here (and learn how it's become part of the USDA's SNAP-Ed toolkit). 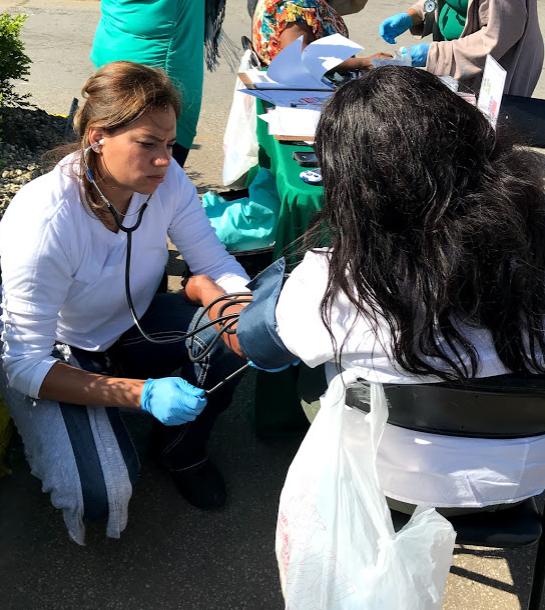 Community Health Ambassadors trained by the PRCHN and its partners are working in their neighborhoods to increase health equity and create greater destinies. 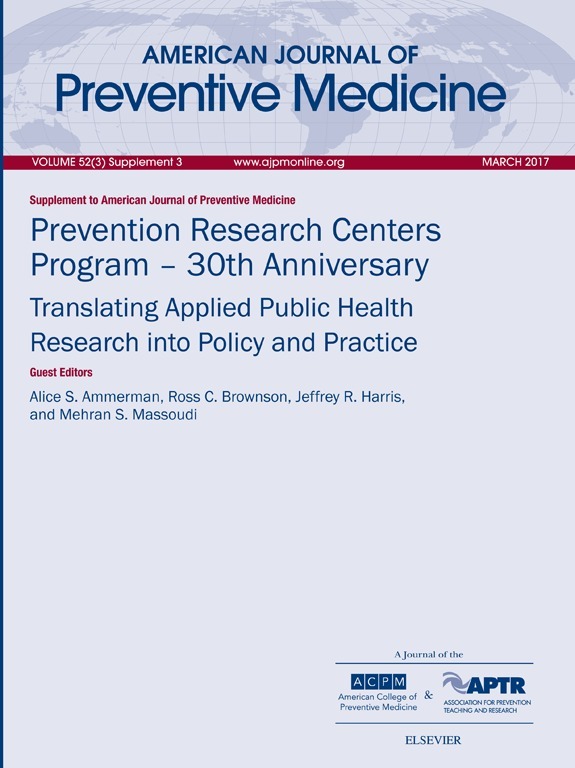 The American Journal of Preventive Medicine celebrated the 30th anniversary of the national Prevention Research Center program with a special supplement that included articles from PRCHN Associate Director Darcy Freedman, PhD, and affiliated faculty Martha Sajatovic, MD. How does the preliminary FM Tracks data help to improve the effectiveness of farmers' markets among SNAP recipients? Learn how the FreshLink study is working with community partners to better understand how SNAP recipients use farmers' markets. Responses to a survey question on the Youth Risk Behavior Survey led a PRCHN PEER Fellow to submit (and receive) a $4 million grant to implement an evidence-based teen pregnancy prevention program. An inquiry about YRBS data modules from Hispanic UMADAOP led to a new member of the YRBS Advisory Board, the PRCHN's first dual-language dissemination products, and was instrumental in UMADAOP securing funding for its prevention programming. How do you help patients with hypertension improve their overall health? Give them a prescription--for produce!